Bret Caller manages Viking’s general business activities, new business development, and ongoing investor relations, as well as directing asset management activities. Bret specializes in managing undervalued properties and enhancing their value by upgrading tenants and making cost improvements. He works with an experienced team of leasing agents, property managers, and legal and tax advisors. Before Viking, Bret, who is originally from Lexington, Kentucky, spent 20 years managing his family’s real estate business, acquiring and managing neighborhood and community shopping centers. He has developed relationships with many top retailers, including Kroger, Dollar Tree, Walgreens, McDonald’s, and Advance Auto Parts. Bret graduated from Tulane University with a bachelor’s degree in business management and New York University with a master’s degree in real estate. He is a licensed real estate broker in Kentucky and an active member of the International Council of Shopping Centers (ICSC). 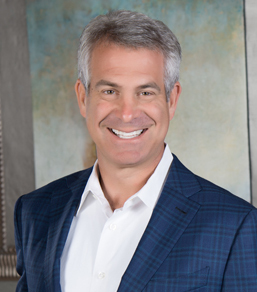 Bret currently serves on the Advisory Board of Directors of BB&T Bank, the Foundation Board of Cincinnati Children’s Hospital Medical Center, and the Boards of Trustees of the Jewish Federation of Cincinnati, the United Way of Greater Cincinnati and the Jewish Foundation of Cincinnati.